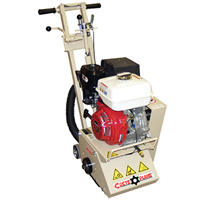 EDCO CPM 8″ Walk Behind Scarifier – Its production rate is 8” working width will scarify approximately 350-500 sq ft per hour at 1/8” Depth Per Pass. It helps remove traffic lines at 800-1000 lineal feet per hour. 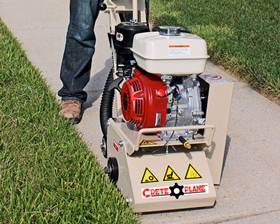 The planer is ideal for sidewalk trip hazard repair, concrete removal, floor claning, traffic line and markings removal.